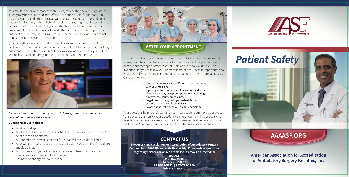 Order your patient safety brochures today! Demonstrate your focus on patient safety with new brochures designed by AAAASF and exclusively available to accredited facilities. The convenient size won’t take up much space in your office and is portable for patients. The brochures explain who AAAASF is and why accreditation is important. On a more personal level, the brochures explain why it’s important for patients to choose an accredited facility. They even suggest questions to ask before, during and after their appointment with you so they can receive the highest level of care possible.